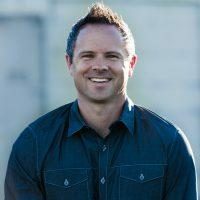 Along with my regular posts at SeanMcDowell.org, I am now featuring some of my former students in the Biola Apologetics Program. This post is by my friend Adam Kingston, who helped me with both the Apologetics Study Bible for Students and the updated and revised Evidence that Demands a Verdict. You can follow him on Twitter at @AdamGunnar. More than high-tech graphics or sophisticated marketing, Pixar was focused on story: how it made the viewer feel, more than, what the viewer saw. Impressively, Toy Story would go on to generate $365 million dollars and become one of the most profitable films of that decade. Why is this so significant? Because sharing stories unlocks people’s imaginative potential. They discover characters, locations, and smells which resonate in their own life. They remember long-passed trips, forgotten friends, and deeply-felt emotions. They develop likes or dislikes in certain aspects of the story and sub-consciously began applying their own experiences onto the individuals and places within the story. In short, story brings about an active role within the listener; it gives them permission to take an adventure. “The more imagination a reader has… the more he will do for himself. He will, at a mere hint from the author, flood wretched material with suggestion and never guess that he is himself chiefly making what he enjoys.” (On Stories: And Other Essays on Literature, 38). How does story then affect the world of apologetics? Massively. Most people (and especially Millennials) are not interested in truth, morality, rules, disagreements or anything else precursed by the word objective, which can seem elitist and narrow-minded. Do apologists then roll over and submit their message of Jesus to the age of relativism? Of course not! Rather, they engage as Jesus did—through story. Given the cognitive demands of the subjects, there seems little doubt as to the need of story within the discipline. Apologetics needs more imagery, more adventure, and more excitement. As Ravi Zacharias often states, the apologist is always to prioritize the questioner over the question. We are not merely after intellectual answers, but rather warm and compelling presentations of the Gospel. The apologist’s aim is to capture the attention and heart of the individual, lead them to the place of seeing Jesus in His wonder and glory, and then to wrestle with what it means to respond. The Kingdom of God is like… what?